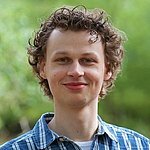 Ivo Filot, one of the winners of this year’s Veni grants. No fewer than seven talented, young TU/e researchers have received a Veni grant of up to 250,000 euros. This equals the highest number of Veni’s ever gained by TU/e. The seven TU/e winners will be undertaking research in fields ranging from oil paintings and improved silicon solar cells to a new type of battery and polymers that are vibrated by light. The last time the university had so many winners was in 2010. In 2006 and 2003 there were also seven Veni grant winners. The ‘Veni’ is awarded each year by NWO. This grant is aimed at giving promising young researchers the possibility to spend three years developing their ideas. In total, this round saw 1127 submissions by researchers of research projects for funding, 154 of which were ultimately honored. [Translate to Engels:] Emanuela Bosco. A large proportion of the historic oil paintings in museums are confronted with degradation issues. Chemical reactions between the paint and the oil creates bulging and flaking while the humidity and the temperature in museums cause cracks. 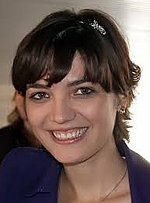 The Italian researcher Emanuela Bosco (31) will be developing a multi-physical model to predict these harmful phenomena and thus produce guidelines for conservation. Catalysts are crucial for a sustainable future. They are vital for a clean, chemical industry and the transition from fossil fuels to sustainable alternatives like biomass. Insight into catalytic processes is thereby essential. 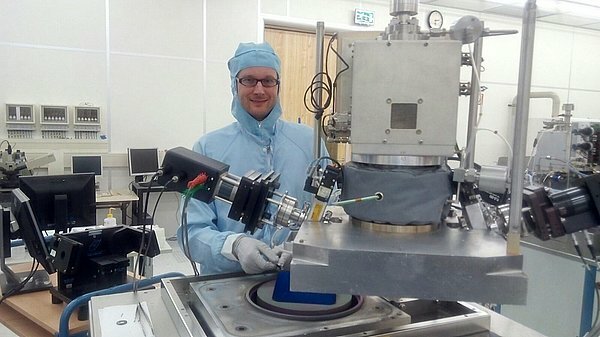 Ivo Filot (32) will be studying these processes at ‘mesoscale’, a scale of length that lies between the atomic level (nanoscale) and the level of whole reactors (macroscale). See the short film about his research. For sustainable energy production cheap and large-scale energy storage is key; wind and sun are not available at every moment of the day. A new type of battery, a so-called flow battery, is regarded as a very promising candidate for this, but it is still in its infancy in terms of development. 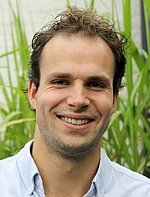 Koen Hendriks (31) will be working on a new class of organic molecules that can be charged both positive and negative, and form the basis of a flow battery. More than 30 million people in Europe suffer from a rare disease. This concerns over 7000 different rare diseases but treatment is only available for 300 of these. So it takes a long time, for example, for specific drugs to reach the market since the alignment between the pharmaceutical companies and the policymakers is inadequate. 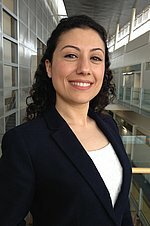 Turkish researcher Tugce Martagan (31) will develop models that optimize the production process and should help to create rules and strategies that enable safe and good drugs to get to market faster and at lower cost. French researcher Ghislaine Vantomme (31) will build on the world first recently presented by TU/e researchers in Nature. She wants to take the next step in polymers that react to light with an uncontrolled movement and work towards self-sufficient materials with surfaces that vibrate in a controlled way to a constant beam of light. These surfaces can be used for self-cleaning and the transport of liquids through membranes or pipelines. Many everyday materials, such as paint formulations and foodstuffs, are macromolecular mixtures. These macromolecules macromolecules often show no willingness to join together in one mixture, thereby forming two separate phases. Examples include pigment and binding particles in paint or polysaccharides and proteins in foodstuffs. Usually this phase separation is unwanted, but Vis (29) will use new, experimental techniques to understand this interface and try to be able to stabilize it. If he succeeds, it will pave the way for new materials, like fat-free mayonaise or new types of paint. The silicon solar cells we see around us have a yield of around 20 percent. It is important that this yield is increased for the transition to a sustainable energy supply. Scientific research refers to yields of more than 25 percent but such solar cells are not yet up to industrial scale production. In this project Jimmy Melskens (34) wants to develop methods that can make this happen. So he is going to use highly transparent metal oxides as contacts in order to reduce the electrical and optical losses in the solar cell. Jimmy Melskens at one of the machines he will be using to develop his materials.